Spiral cutting your potatoes is a surprisingly simple alternative to baked or fried potatoes. The long cut exposes more of the potato to the heat of the oven, allowing for more crispy outsides and soft insides. 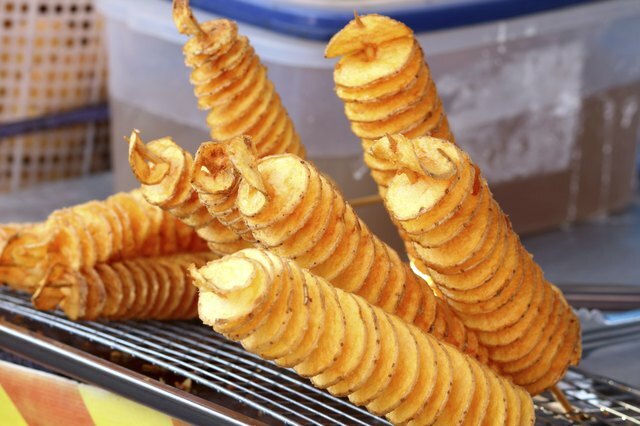 This style of cut is sometimes called a tornado fry, and it's served on a stick at fairs and boardwalks. Potatoes take well to all kinds of seasoning. Simple salt and pepper is one choice, but you can try adding cayenne pepper for a kick or garlic powder for something more savory. 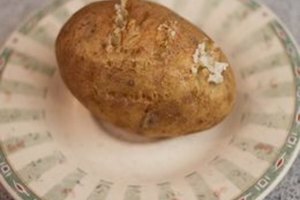 Scrub the potatoes under cold, running water with a vegetable brush. 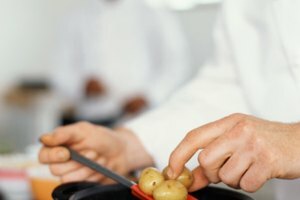 Peel each potato with a knife or potato peeler. 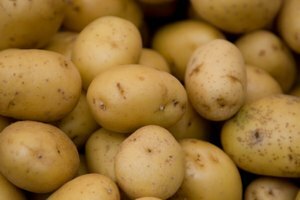 Keep the peeled potatoes in a bowl of cold water to keep them from discoloring. Insert a wooden skewer through one potato from one narrow end to the other. Cut through the potato at one narrow end with a small, sharp knife until you hit the skewer. Rotate the potato slowly and move the knife along the potato, cutting it into a spiral around the skewer. When you reach the other end, slide the sliced potato down the skewer to open the spiral. 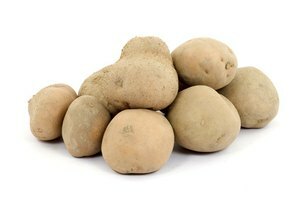 To cook the potatoes, brush the potato's cut surfaces with olive oil and season. 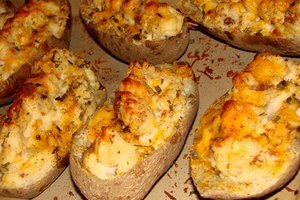 Place the potatoes on a baking sheet and bake at 350 degrees Fahrenheit until cooked, which should take 20 to 30 minutes. Serious Eats: The Tornado Potato Touches Down in the U.S.